Because Hollywood loves proving that you can have too much of a good thing, there are currently five separate Robin Hood-themed films in development, with varying takes on the fabled man in tights. DreamWorks will be bringing us a high-concept revenge film called Merry Men that is hoped to spawn a new "shared universe"; Sony is working on a high-octane, Mission: Impossible-esque action version called Hood; Disney is planning a more family-friendly adventure take called Nottingham & Hood; Lionsgate is preparing an edgy origin story titled, appropriately, Robin Hood: Origins; and Warner Bros. just announced their untitled Robin Hood project this spring. 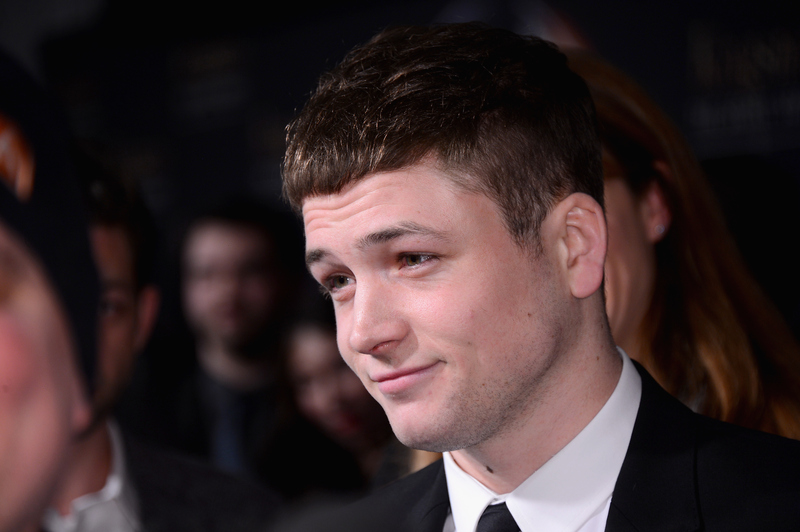 Well, I'm happy to report that we finally have forward momentum on one of those five properties: Taron Egerton is allegedly in talks to join Robin Hood: Origins as Sherwood Forest's titular outlaw. If that name doesn't sound familiar to you yet, it probably will soon. The 25-year-old Welsh actor just delivered a star-making performance as the lead in Matthew Vaughn's gonzo spy action comedy Kingsman: The Secret Service alongside the likes of Colin Firth, Michael Caine, and Samuel L. Jackson. Before that, he had appeared as a main character in the British firefighter drama The Smoke, starring Jamie Bamber (aka Battlestar Galactica's Adama); and he co-starred in last year's World War I drama Testament Of Youth with Ex Machina's Alicia Vikander and Game Of Thrones' Kit Harington. Since Kingsman proved to be a critical and commercial success earlier this year, with Egerton himself receiving acclaim for his winsome turn as novice spy Eggsy, the young actor's career has skyrocketed — and deservedly so. You can next see him in this fall's crime drama Legend, starring Tom Hardy as real-life gangster twins Ronnie and Reggie Kray; Egerton will play Reggie's psychopathic boyfriend Mad Teddy. Next year, he'll star in the sports dramedy Eddie The Eagle as real-life skier Eddie Edwards, Britain's first Olympic ski jumper; Hugh Jackman will also star as Eddie's coach Bronson Peary, and Christopher Walken as Bronson's mentor Warren Sharp. Egerton's commitment to Robin Hood: Origins isn't a sure thing yet — if anything were to keep the in-demand actor from signing on, it would be scheduling conflicts with the Kingsman sequel, which 20th Century Fox officially greenlit a few months ago. If Egerton does end up taking the role, he'll be working alongside director Otto Bathurst, who has helmed several episodes of the acclaimed BBC period drama Peaky Blinders (which you can watch stateside on Netflix), and screenwriter Joby Harold, who also penned the script to Guy Ritchie's Knights Of The Roundtable: King Arthur (currently in production starring Charlie Hunnam, Jude Law, Eric Bana, and Djimon Hounsou). Robin Hood: Origins will feature the titular archer as he "returns from fighting in The Crusades and finds that Sherwood Forest is rife with corruption and evil. He forms a band of outlaws and they take matters into their own hands."